The next Reatta Rally will be held Sunday, April 28, 2019 in Woodland Hills, CA. Previous Reatta Rally events have received terrific write-ups from a major automotive web site. Information on next Reatta Rally can be found below. Updated web site for Reatta Rally 2019 - to be held on April 28, 2019. Registration form e-mailed to Reatta rally database. Updated web site for Reatta Rally 2018 - to be held on June 3, 2018. Registration form going out in a few days via e-mail. Reatta Rally 2017 registration form going out today via e-mail. 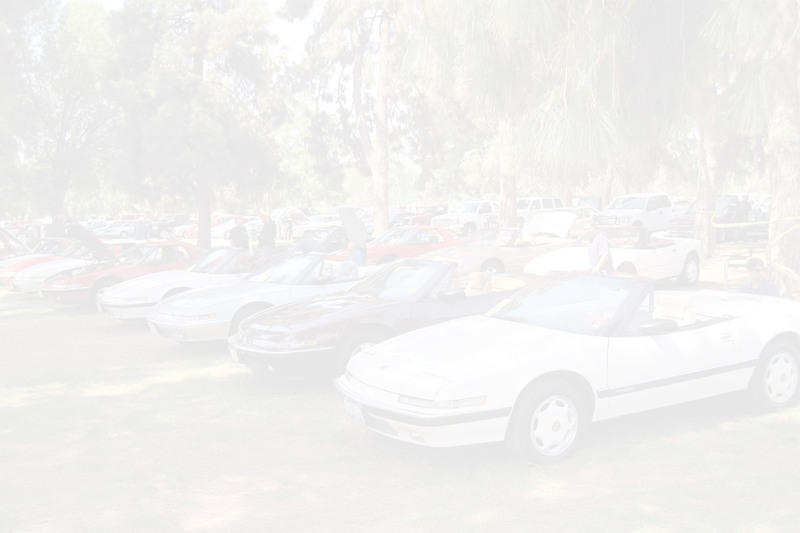 Reatta Rally 2017 will be on April 30th in Woodland Hills (within the All GM/Buick Car Show). It was originally scheduled for May 21 (coincides with the Greystone Mansion event), then May 14th (which is Mother's Day). Finally settled on April 30. E-mail blast going out today. Eleven cars came to the Reatta Rally with three others absent. Considering very limited advertising for the Reatta Rally, I'm extremely pleased with the turn-out (especially as more people seem to be walking away from the collector car hobby. Website has been updated. E-Mail update going out this weekend. Also working on another event (a Reatta Rally mini) for June or July. Date for next Reatta Rally is May 22. Time to start updating this blog more frequently. :). Registration form for the upcoming Reatta Rally has been e-mailed to all in the Reatta Rally database. actually have toilet paper and a mirror (and no graffiti the last time I checked)! Registration forms will be available by early April and sent via e-mail to those already in the e-mail database. Only pre-registered cars will be allowed entry. shows within southern California for many years). Planning for the next Reatta Rally. May possibly have it at a new (and different) venue in southern California. Hoping to finalize the details before the end of February.